60% of your body is made up of water. It is crazy to think that we are all basically walking, talking, living, breathing water molecules—but it's true. We're flesh, bone, and lots and lots of water. It might be tempting to think that we would all need to "fill the tank" and drink as much water as possible. However, according to the respected Mayo Clinic, "no one size fits all." Knowing your body will help you determine how much water you should enjoy each day. WebMD provides a great quote from Joan Koelemay, RD, dietitian for the industry group Beverage Institute, "Think of water as a nutrient your body needs that is present in liquids, plain water, and foods. All of these are essential daily to replace the large amounts of water lost each day." Another cool thing about water is it can help with weight loss as many substitute this healthy beverage for others that may not be so healthy. Did you also know that water deprivation will kill a person faster than the loss of any other nutrient? This according to SF Gate. We need water more than food. If ever stranded in the Rocky Mountains, take note. Consume and ration water. It is your lifeblood. It is incredible how much the body needs water. Yet, are you drinking water at all? Now let's discuss the issue of being at high altitude—which requires you to consume even more water! According to LiveStrong, it is imperative to drink more water at elevations above 5,000 feet than you would need if you were at sea level. The main takeaway is that humidity is lower at high altitude, meaning that sweat evaporates almost immediately, which makes it easy to not realize how quickly your body is losing that precious water. According to the Wilderness Medical Society, you lose water twice as fast at altitude than you do at sea level. 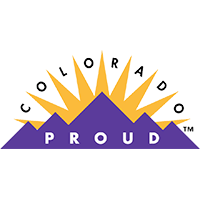 We are a local Colorado company, which means our consumers are all at altitude! Water is even more important, local folks. 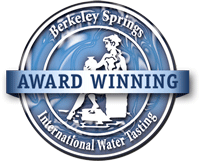 Heed your body's call for the wonderful and natural juice of pure Eldorado Natural Spring Water. You do tend to hit the restroom a little more, but your body will thank you.